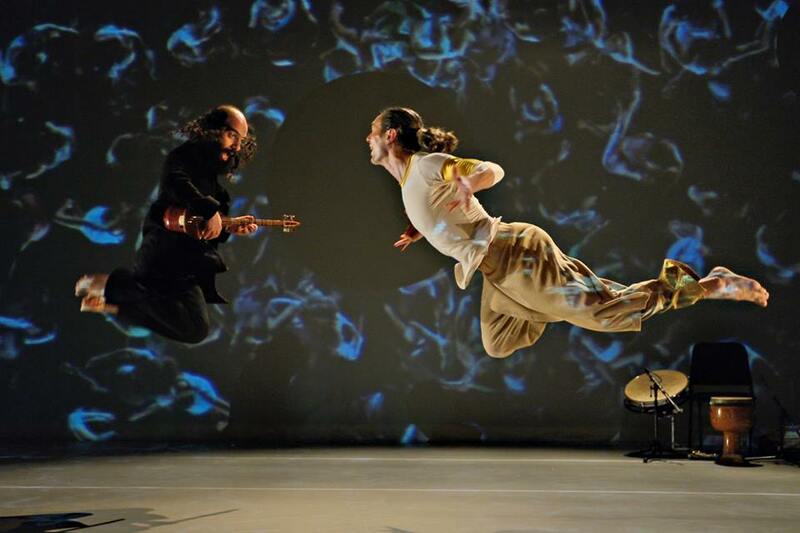 Four dancers, three musicians and a visual artist experiment here, guided in turn by the Indo-Armenian dancer and choreographer Roger Sinha and Iranian-born gatherer of musical pearls Kiya Tabassian, immersed in dialogue. From the universal quest for identity to the collective epic, a creative gesture like the dreamlike echo of a world reconciled. Constantinople’s exquisite music stirred Roger Sinha deeply on first listening. Kiya Tabassian and Roger Sinha are from different Eastern cultures and are both influenced by the North American and Quebec cultures they live in. All of these histories shape their work together. Equally, the artists they work with – the dancers, musicians, designers and artistic collaborators- all come together to create what you see on stage. This is what migration is about; not only when a group of people move from one place to another, but when diverse groups of people meet, commingle and find a common language.